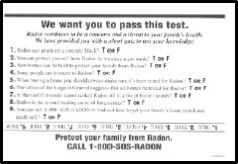 These radon quizzes will engage and educate your audience about radon facts through a series of true or false questions. 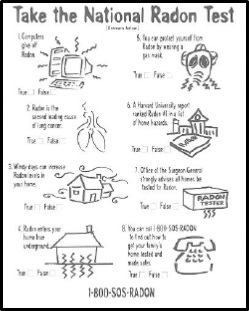 The quizzes can be used in a variety of ways: as questions for social media, website graphics, PSAs or as handouts or flyers. 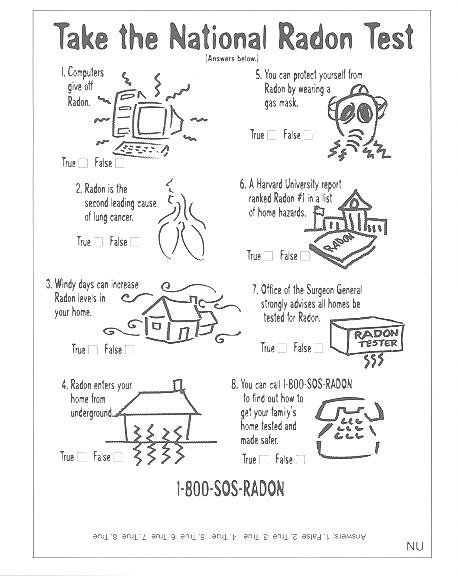 Use the questions to help your audience learn more about how to protect themselves and their loved ones against the risk of radon.